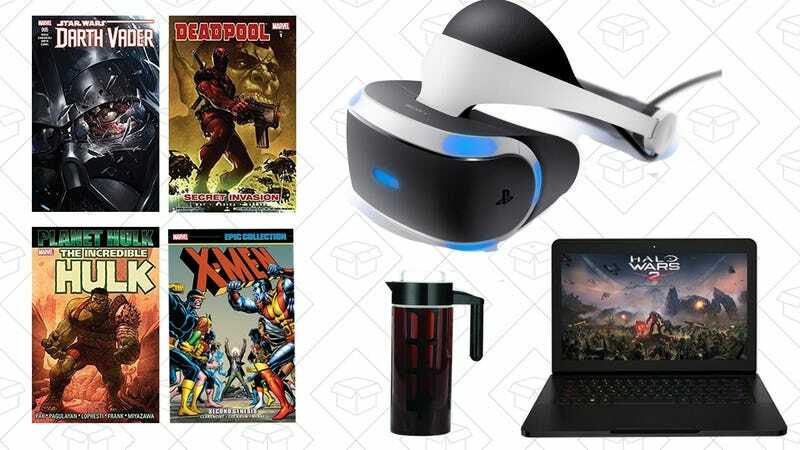 We kick off today’s top deals with Marvel comics, PlayStation VR + Camera Bundle, Gaming Gold Box, and more! 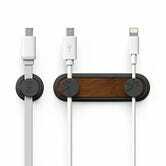 There are surely less expensive cable holders out there—we post deals on them frequently—but the allure of just dropping your cable onto a magnetic base and knowing that it’ll stay put is pretty darn cool. 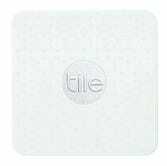 Tile is the ultimate device for anyone who can’t stop losing their things, and you can get one for about $5 less than usual right now. If you aren’t familiar, you just slide this thing into your wallet, keep it in your car, stick it in your luggage...anything you frequently misplace, and the Tile app on your phone can ping them over Bluetooth and cause them to beep until you find what you’re looking for. And if your lost item is outside of your phone’s Bluetooth range, it’ll show up on a map automatically any time another Tile user comes into range. 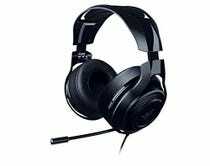 Whether you’re in the market for a new gaming PC, or just want some accessories for your current rig, today’s Amazon Gold Box has you covered. The stars of the show here are the gaming desktops and laptops, including some Razer Blades, plus an ASUS tower with a GTX 1070 for just $780. 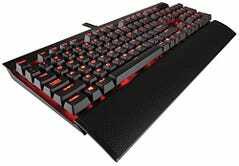 Beyond the computers though, you’ll find a ton of peripheral and accessory deals, including our readers’ favorite mechanical keyboard (and the one I use every day), gaming headsets, motherboards, tons of flash storage, and more. Some of our favorites are below, but head over to Amazon to browse the entire sale. 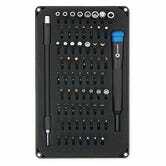 iFixit, the people that rip apart brand new electronics for your amusement to show you how to fix them, makes its own toolkits, and you can get their 64 bit driver kit for $25 right now. That gets you a driver, a flex extension to reach around tight corners, and a lot of bits to get you into just about any gadget. Apple’s MacBooks only have two ports these days: USB-C and a headphone jack. 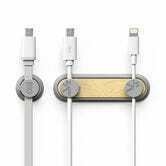 And while USB-C is definitely a good thing, the world might not be quite ready to ditch all of our old connectors. 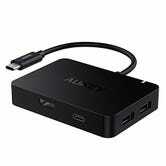 Luckily, this $30 dongle can turn one of those USB-C ports into four standard USB ports, an HDMI port, and a USB-C passthrough for power. 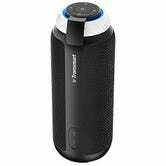 With 25W of power, this $34 Bluetooth speaker packs more of a punch than most of its peers, and even sprays that sound in 360 degrees, making it perfect for parties. Just use code L3V7CYO2 at checkout to save $12. 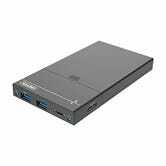 Dropping a spare or old hard drive or SSD into an external enclosure is a great way to breathe new life into it, and it’s even better when that external enclosure is also a 2-port USB hub and a microSD card reader. 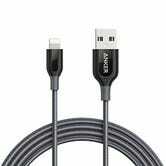 Note: The power cable is optional unless you’re plugging high-powered devices into the USB ports, like external hard drives or smartphones. If you don’t want to watch movies on your tiny phone screen and don’t want to shell out the cash for an iPad, upgrade to a Portable DVD Player for just $45 with promo code USZHHWHI. 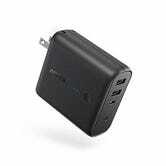 Its battery lasts for up to 3 hours and you can plug into your car’s power supply or any normal wall plug. This device normally sells for around $60, so you’re saving money and don’t have to hear your kids bicker on those long road trips. 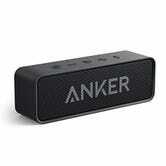 Anker’s SoundCore blew away the competition to take the title of your favorite affordable Bluetooth speaker, and today, you can pick one up for $25 right now on Amazon, the best price we’ve seen since Prime Day. I’ve owned this thing for over a year, and I feel like I never charge it. 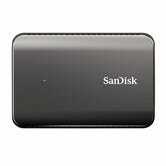 If anything, its quoted 24 hours of battery life is a conservative estimate. It also sounds fantastic for a speaker of its size. 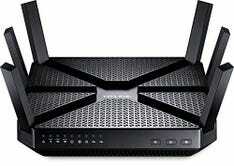 TP-Link’s well-reviewed AC3200 router is good enough for just about every home or apartment, and Prime members can get it for an all-time low $120 today. Just make sure you don’t step on it thinking it’s some kind of large bug. The best camera is the one you always have with you, but that’s much more likely to be your DSLR if you buy this $7 case from AmazonBasics. Yi’s original action cam is a longtime reader-favorite, and one of my personal favorite gadgets to boot, and you can pick it up for $52 from Amazon with promo code PHIXBTO3. Plus, you can also add a spare battery to your cart when you buy the camera, and get it for free. This model doesn’t shoot in 4K, but it does feature 1080/60, and the footage and photos it takes look fantastic. 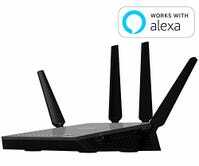 You can even control it wirelessly with your phone, or transfer your captures over Wi-Fi for instant sharing. 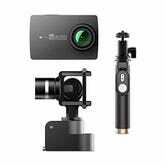 If your action cam needs are considerably more advanced, consider the Yi 4K bundled with a gimbal stabilizer for $350 with promo code V673WQ4G. The most versatile member of Anker’s insanely popular PowerCore battery pack family pulls double duty as a USB wall charger, and you can get it for just $21 with promo code KINJAFSN. I’ve owned the Fusion since it launched earlier this year, and it’s an indispensable part of my bag. Now, rather than traveling with a wall charger, a battery pack, and a microUSB cable to recharge said battery, all I need is the Fusion and my Apple charging cables. You can read all of my impressions here, and then head over to Amazon to get yours for $21. It’s new iPhone season, and whether you’ve already preordered an 8, are anxiously awaiting the X, or are just sticking with your current phone for another year, some of your favorite Anker accessories are on sale right now, as well as brand new cases from Anker’s Karapax brand. 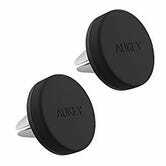 Magnetic smartphone vent mounts are the sleekest and easiest way to prop up your phone in the car, and you can get two mounts from Aukey for $8 today with code AUKEYHT5. Even if you already have one in your own car (a pretty safe bet! 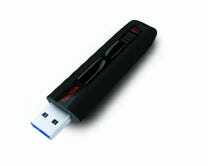 ), it’s worth tossing an extra into your luggage to use in rental cars whenever you travel. They also work as makeshift phone stands if you use them at your desk, or on an airplane tray table. You all know the infomercial this set of pots and pans is from. I can picture the fork scratching the non-stick surface, the burnt sugar sliding off. Amazon is one-upping those late-night demonstrations with this one-day sale. 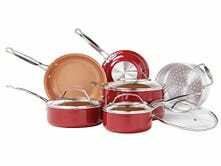 Grab the Red Copper 10-piece ceramic cookware set for just $75, today only. 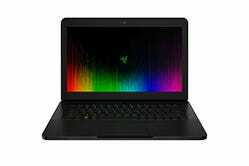 Several weeks ago, we posted a deal on a notebook that you could erase up to five times by putting it in the microwave. Needless to say, reactions were mixed. But some of you pointed out that the same company had a new notebook that could be erased basically indefinitely with nothing but a damp cloth, and that model is cheaper than ever today. 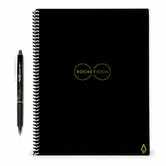 The Rocketbook Everlast does carry over the Wave’s smart symbols, a series of seven glyphs on the bottom of each page that you can cross out with a pen. Once you scan the page with Rocketbook’s app, those symbols tell the app where to send the page. Cross out the horseshoe and scan the page with the app, and it’ll automatically upload to, say, Evernote. Draw an X through the star, and it’ll go to Google Drive. You can specify what each of these symbols do in the app, so it’s easy to customize the notebook for your workflow. The scanning features are important, because the Everlast isn’t meant to keep your notes indefinitely. 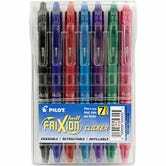 Once you fill up the 32 pages with a Pilot Frixion pen (one is included), you can just grab a wet cloth, and wipe the whole thing clean to start again. We’re getting ready to round up the countless and ever-improving ways to make coffee on the go or in the woods, but until LUME, the most important product in that process, the grinder, was literally a hand crank. LUME is a portable, USB rechargeable, conical ceramic burr coffee grinder that doubles as a flashlight, and there are still preorders available at just $59 as of this writing. Total no-brainer/godsend for coffee drinking travelers and campers. You’ve listed these AmazonBasics Velvet Suit Hangers as one of your all-time favorite hangers. They lined with velvet to keep slinky shirts from slipping and they’re cheap. Really cheap. Priced at just $18 today for a 50-pack, that’s the lowest price we’ve ever seen outside of some short-lived coupons. This is perfect timing for a closet revamp as you move your fall wardrobe out of storage. Update: The price was listed incorrectly. 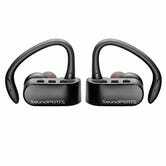 The final price with promo code is $29. 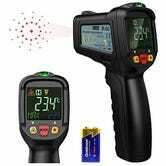 This industrial level IR thermometer can read temperatures ranging from -58° F to 1,022° F. But I normally use mine for much simpler things, like to fact check my oven temperature, check for air leaks, or really just play around with. At $18 with promo code NOGBB5RM, it’s well worth it for the entertainment factor alone. You might associate cold brew coffee with summer, but that’s because you’re conflating it with iced coffee. Iced coffee is a brilliant way to sell people ice for the price of coffee (which is mostly water to begin with). Cold brew on the other hand is a different process that results in less acidity, among other benefits, and you can enjoy it all year round. Today only on Amazon, three different cold brewers from Willow & Everett are on sale. The one that will look most familiar is this $20 plastic pitcher, which is basically a slightly larger version than the Takeya that our readers have bought thousands of. The other two look a little nicer, and are made of glass, but more importantly, they have airtight seals that will keep your coffee fresh for weeks. The only real difference is the size, so for just a few bucks more, I’d go with the larger model. Just remember that these prices are only available today, so don’t sleep on them. 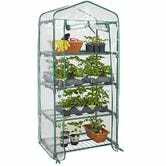 This 4-tier greenhouse has a small enough footprint to fit on just about any balcony or patio, and is perfect for urban gardeners looking to grow their own vegetables, herbs, and flowers. This will probably sell out quickly though, so pick one up before they’re all harvested. Detergent pods are the easiest way to do the laundry, and with Amazon’s $2 coupon, they’re also one of the cheapest. The coupon applies to tons of different pod varieties from Tide and Gain, but just remember that you won’t see the discount until checkout, and that some of the options are only available through Prime Pantry. Anker makes smart light bulbs now, because of course they do, and today’s your first chance to get them at a discount. The standard 2700K white bulb is $3 off, down to $17, but I’d probably recommend paying a few bucks more for the tunable white model. 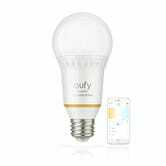 While both bulbs can be dimmed with your smartphone (even if your lamp doesn’t have a dimmer), the tunable bulb can output just about any shade of white, from sunlight-simulating daylight to Edison-style warm white. It sounds like a small thing, but different shades of light can seriously boost your productivity, or help you relax when it’s almost time for bed. 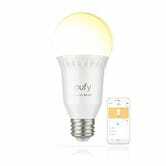 You can control either of these bulbs with your smartphone via the free Eufy Home app, but the real fun is controlling them with your voice via Alexa. Any Alexa-enabled device can do this, but we happen to have an exclusive discount on the Eufy Genie, which is very similar to an Echo Dot, only cheaper. 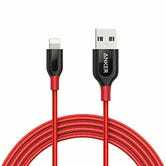 Just use code KINJA000 at checkout to get it for $30. 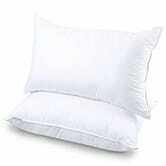 Shopping for pillows can be a snoozefest but pillows are something that should be replaced every once in a while. If you can’t remember the last time you bought some new ones, Amazon has got you covered today. At $25 for a 2-pack with promo code CMYD7QKK, they’re a good deal for hypoallergenic, breathable pillows that have the right amount of stuffing for everyone from stomach to side sleepers. 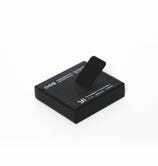 You’ve heard of Automatic’s smart driving assistant, but if $80-$100 is too rich for your blood, this cheap OBD2 dongle connects to your Android device over Bluetooth, and can fulfill many of the same functions using various third party apps.